The ultimate in pine seedling propagation containers. Perfect for most breeds of pine, but especially suited to Longleaf. Very strong, rigid and long-life design. 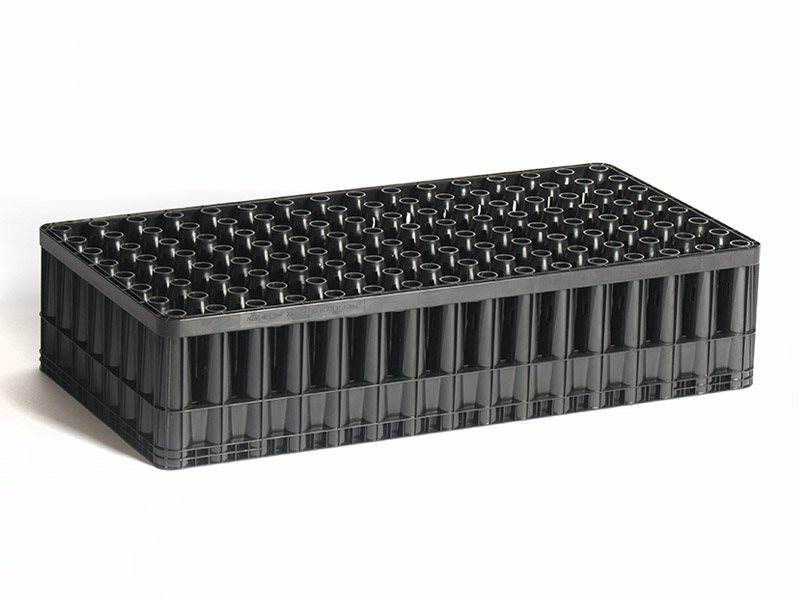 26″ x 13″ container designed to fit on T-Rail benching. 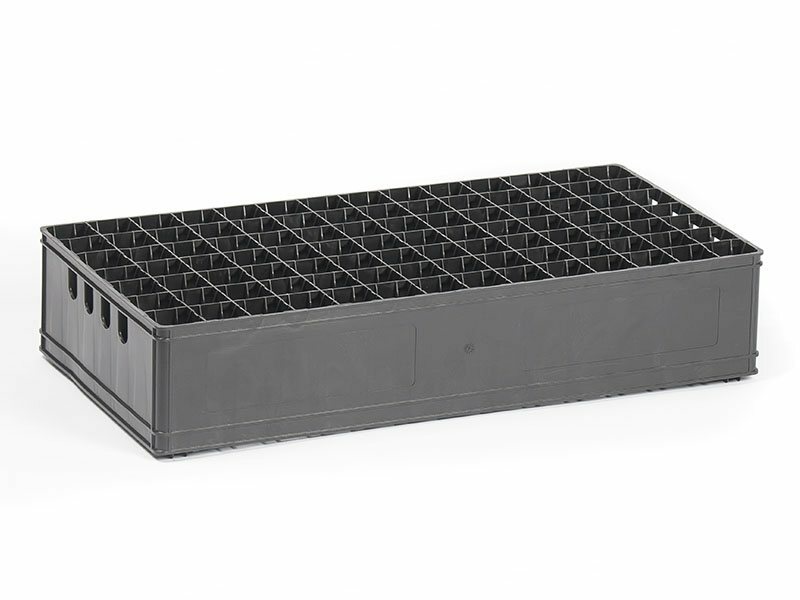 Optimum cell angle and shape to allow easy pulling of seedlings. 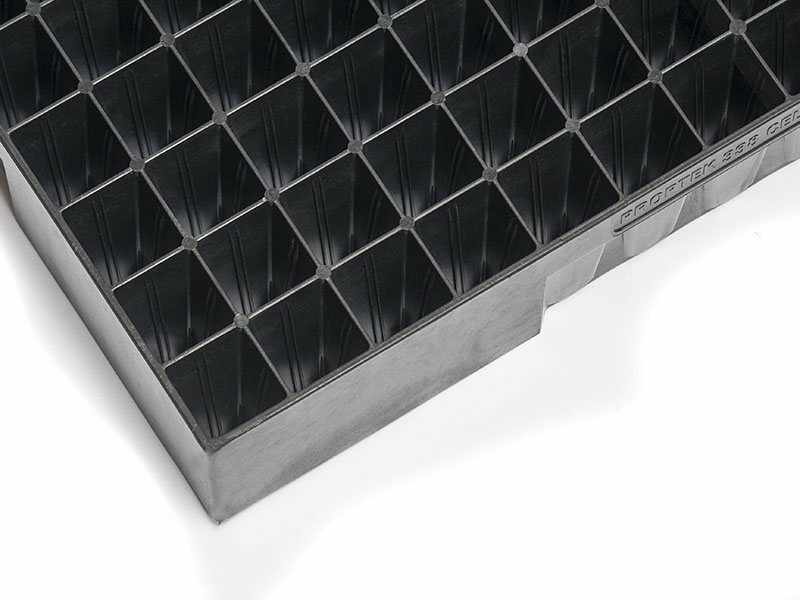 Vented top surface for superior airflow. Fantastic aeration and drainage of the cell. Can be effectively & easily sterilized. 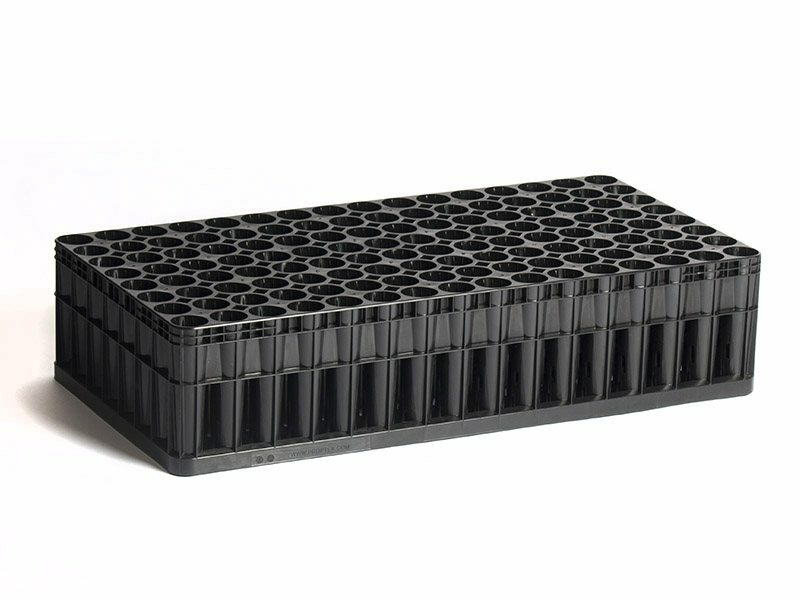 The future of the pine forestry seedling industry is containerization. Proptek’s air pruning forestry containers produce pine seedlings with an exceptionally natural root system time and time again. 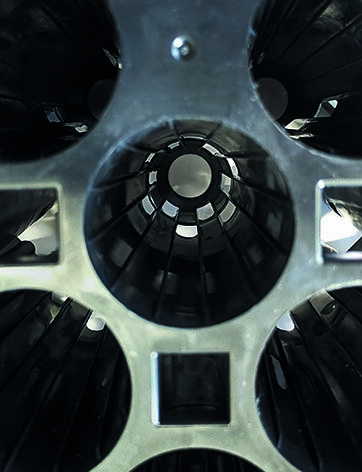 Root circling caused by growing in a container is completely eliminated due to Proptek’s patented specialist root technology. 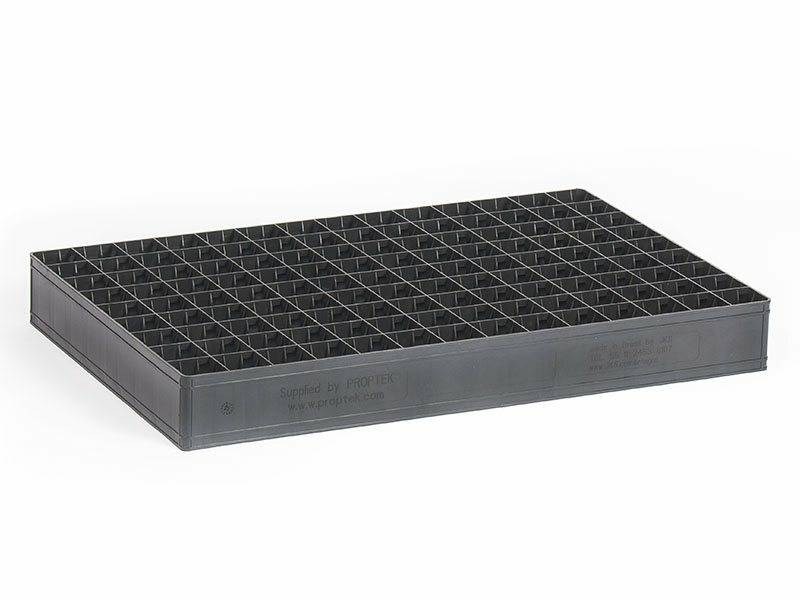 This version is our super deep tray at 6 inches, meaning it is especially suited to propagating Longleaf pine. 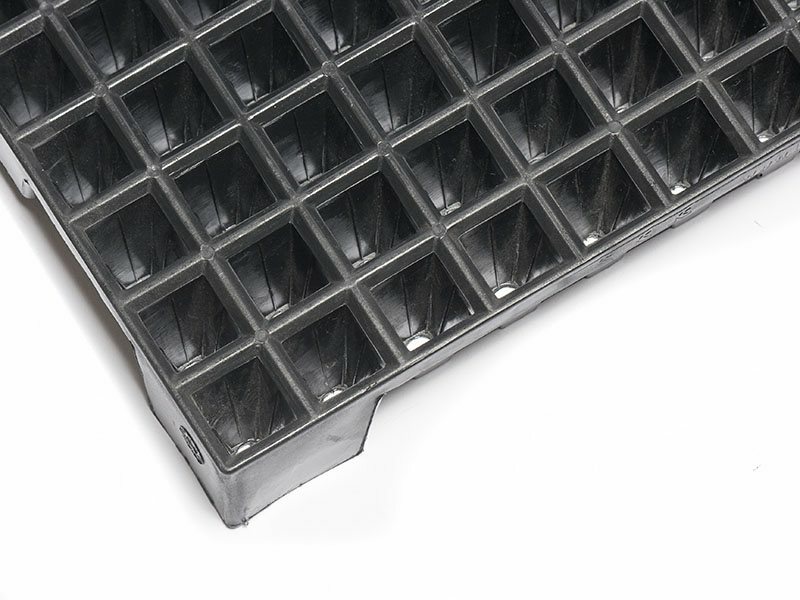 Our tray is designed to be compatible with mechanization which will help reduce your labor costs. 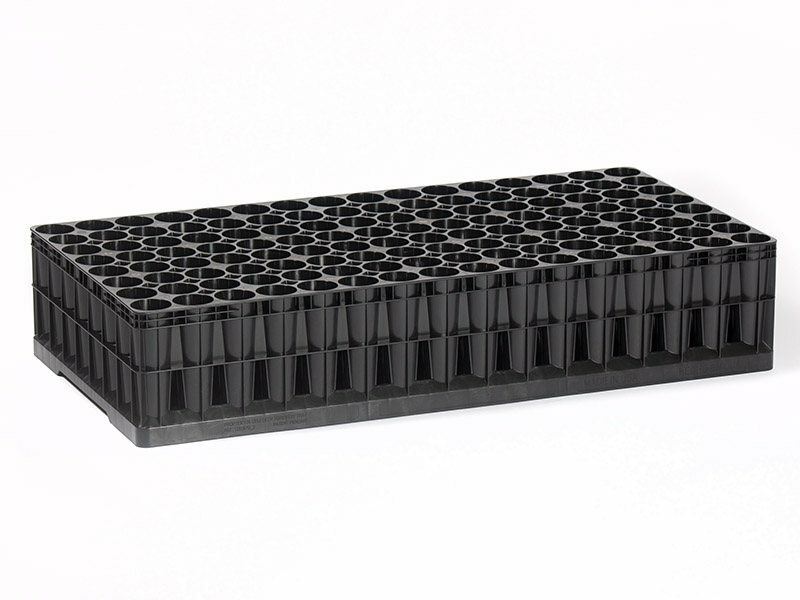 Furthermore, less fertilizer is required than bareroot and Styrofoam setups, which together with a higher plant survival rate and less wasted seed, helps boost your bottom line profitability. – Containers are rigid so sit on benching well and are easy to carry. – They last a very long time – no more throwing out Stryoblocks every year. 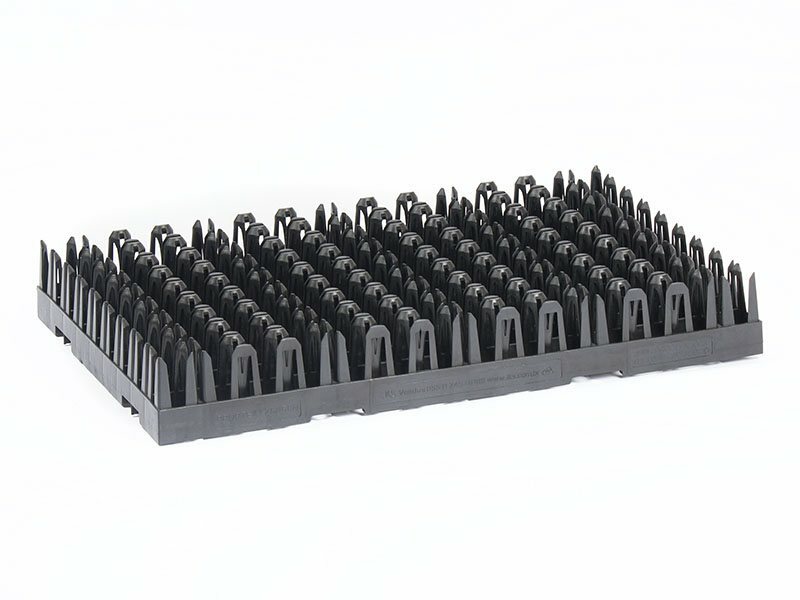 – Can be effectively steam sterilized with no negative effects on either the life of tray or plant pulling. 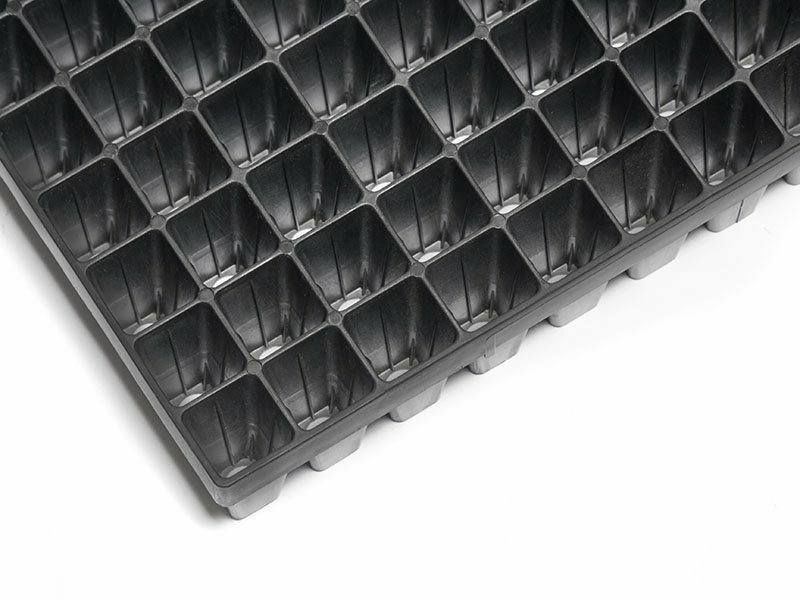 – We can design in features that really look after and nurture the plant, such as the vented top surface and the extra drainage holes. 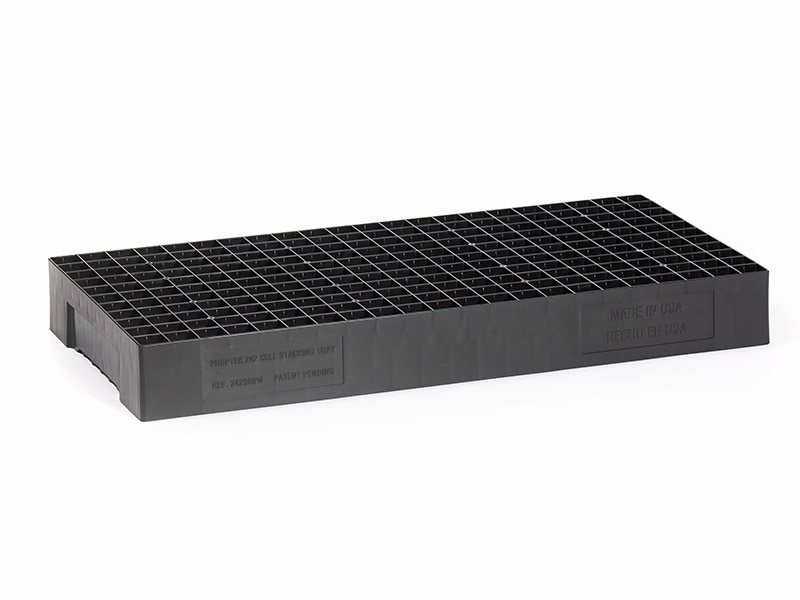 A common concern is that black trays will get too hot sitting in the sun. This has been investigated and trailed for years and has been consistently found to not be a problem in practice. Tens upon tens of millions of pine seedlings are grown in Proptek containers year after year and the quality and consistency of the seedlings has been exceptional and industry standard-setting throughout. Please do not hesitate to get in touch if you would like more details.